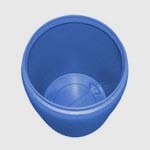 Euro drum (drum) is blow molded of high density polyethylene having high strength properties and chemical resistance. 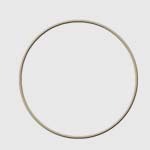 Seamless body of the drum has no weak points and due to this it can withstand significant mechanical impact. 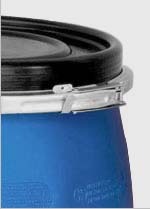 Standard colour – blue. 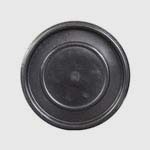 Wide neck is convenient for filling and discharging of products especially which are dry or paste-like. 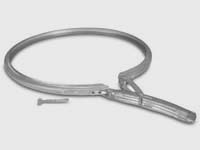 Removable cover is safely fixed with galvanized steel clamping ring. 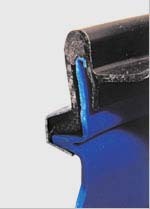 Tightness is obtained due to seal material. Splint prevents an unauthorized opening of the drum. 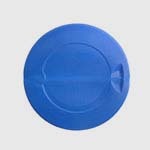 The container can be transported manually or with the help of standard gripping mechanisms. 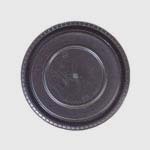 It is an ideal package for aggressive substances, as well as for prohibited substances to be packed into metal container without special covering.